In recent years there has been something of a trend for bands to play live 'underscores' to classic films, especially from the silent era. The choice of Faust to accompany the classic 1921 Nosferatu by FW Murnau was an inspired one, and they rose to the occasion admirably. They had already recorded an LP of music inspired by the film (which contains completely different material to this release) and their accompaniment was true to both the spirit of the original and their own wayward, anarchic reputation. Although it comes from the same year as Live in Edinburgh, this album is very different beast indeed. 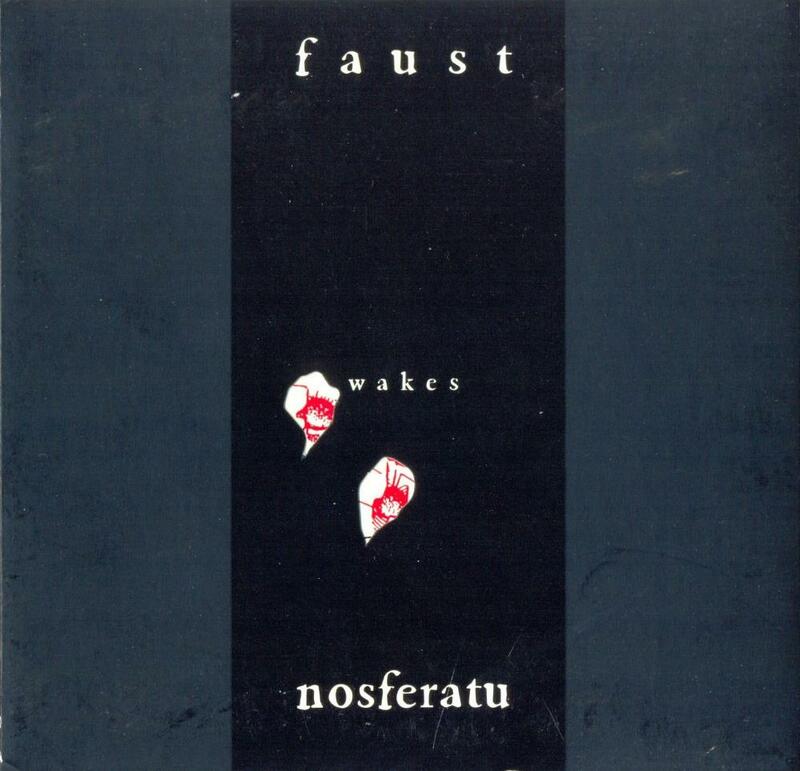 It is probably the quietest album Faust have ever released, with long stretches of spooky ambience that sound more like Irmler solo than a group performance. Other members of the band make some significant contributions, especially guitarist Steven Wray Lobdell, but there is relatively little full ensemble playing. There are some passages that are more recognisably in the band's signature style, particularly on the opening and closing tracks, but it's mostly an exercise in atmosphere and texture. As such it works well - there's a genuinely dark, disturbing mood pervading the whole playing time - but some editing might have made for a stronger CD release. As good as all this must have been at the time (a friend of mine saw the performance and was highly impressed) this album doesn't always work as a stand alone piece of music; without the accompanying visuals, some of the pieces seem to spend a lot of time going nowhere in particular. It's worth tracking down if you're a fan of Faust in particular or avant prog in general, (it's recently been made available as a download on emusic) but it's definitely non essential.